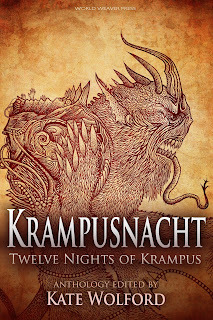 Premise: Twelve short stories about Krampus. Variously known as the Christmas demon, the punisher of naughty children, and the star of several recent horror movies, Krampus has been having a bit of a moment recently. Anthologies are generally hit and miss, and in attempting to please many tastes, this one definitely had some misses for me. It starts fairly strong. "Prodigious" by Elizabeth Twist straddles myth and contemporary fiction tropes decently with a young man who plays Krampus at a toy store. "The Wicked Child" by Elise Forier Edie follows with something akin to a fairy tale, blending aspects of St Nicholas and Black Peter. "Marching Krampus" by Jill Corddry was not short or funny enough for its thin "bratty sibling revenge" concept. "Peppermint Sticks" by Colleen H. Robbins has some strong ideas about a darker interpretation of Christmas elves, but I didn't think it completely came together. "Ring, Little Bell, Ring" by Caren Gussoff was too much straight horror without a point for me, and "Santa Claus and the Little Girl Who Loved to Sing and Dance" by Patrick Evans was too gross and depressing by the end. On the other hand, the one that falls between them, "A Visit" by Lissa Sloan, was a fun story. A supernatural visit to a nasty man does not give him the opportunity to change. "Between the Eyes" by Guy Burtenshaw didn't have much to do with Krampus; it was more a general horror story of supernatural evil that happened to be set at Christmas. It started very strong: good descriptions, intriguing themes, but then the resolution wasn't satisfying. "Raw Recruits" by Mark Mills, however, is a lot of fun. The narrator is part of a system of doomed souls who make switches for Krampus. "The God Killer" by Cheresse Burke was okay, if uninspired. 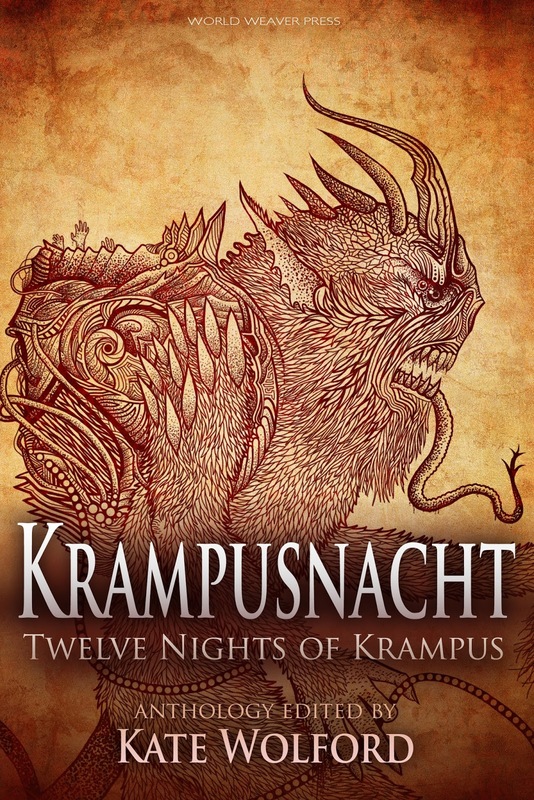 "A Krampus Carol" by Scott Farrell closes out the collection. I wasn't sure where it was going for a good portion of this story, but this turned out to be one of the strongest in the bunch. It had a vivid and interesting interpretation of Krampus and his place in the world, but mostly dealt with humans "punishing" each other. I know this is minor, but I hate collections that introduce each story with a little paragraph about inspiration or background. These blurbs almost always overexplain or apologize for the story, or tell me something that makes me more likely to dismiss the author (Author X had never heard of Krampus before hearing about this anthology opportunity!) or go into the story with the wrong idea. Overall a mixed bag. A few stories that I really disliked, a couple I found quite decent, but nothing surprising or unusually great. Most didn't stay with me longer than a few minutes. 2 Stars - An Okay Book.